The U.K. dairy sector is in flux, it was thrust into the world market last year after the milk quotas fully deregulated within the European Union, compounded by record global milk production and challenging markets in China and Russia. Keeping in mind the quota system within the UK was nothing that resembled the Canadian model, but rather a heavily fragmented system with many processors directly contracting milk with farmers and virtually minimal monetary value associated with quotas prior to deregulation. Over the past week, I had the opportunity to investigate the U.K. dairy sector, where I learned first-hand the diversity of production systems, geographical challenges with access to processing capacity. I met ‘have’ and ‘have not’ farmers in terms of milk contracts and consequently the price paid for their milk. The post quota market in the UK is a living experiment on the how industry reacts to change in a global marketplace. Production systems in the UK ranged from those mimicking the Irish grassed based systems; spring calving herds utilizing Kiwi cross cattle averaging 5500 litres per year through to farmers maximizing production with 3 times per day milking systems that resembled a North American model. Overall, farmers are adopting a systems approach to dairy production where by highest output per cow is not necessarily the ultimate goal. Every farmer I met was able to describe their perceived competitive advantage in terms of cost cutting measures, including areas where they hoped to improve. Unfortunately, a common theme rang through the group, that of ‘luck’. Many were unable to differentiate why their farm was fortunate to have a super market contracts or the luck of farm location to utilize well drained fertile soils with strong grass growing capacity. The cost of production models on farm ranged significantly, however a common theme is that every farmer knew their break even cost on a per litre basis. The cost range of £0.16 to an estimated average of £0.22 up to £0.26 per litre in the most intensive herd. However, the intensive herd also had the supermarket contract. Prices being paid were about £0.21 to £0.26 for most but the specialty markets, including super markets it was closer to £0.36/litre. It was estimated that only 10% of the milk was linked to the richer supermarket contracts. The farmers I visited had contracts in place, but the likes of Tesco are demanding to see the financial statements of its farmers to make sure they are not too profitable. The specialty jersey milk contract is at capacity and will not take any additional milk, let alone struggle with the bulges of seasonal production. Then there are the international processors that buy milk in other countries, whereby the UK gets the same European pricing, it’s COP’s are most likely higher than its European peers. The group I have not mentioned, nor met are the farmers without a contract, selling to milk brokers at prices resembling world market. These farmers have immense & immediate pressure; they are perhaps receiving less than £0.15per litre. Keep in mind, some selling to milk brokers benefited from higher milk prices last year. However, three of the farmers I met this week had expansion on their mind. As with many businesses, the conscientious managers will survive, and remember, we are still in Europe and single farm payments will be paid as usual which could be in the range of £80.00 per acre. One farm I met has opted out of the government subsidy on sheer principal, I suggested they take the money, reduce debt or invest to reduce costs. His response was interesting and similar to other comments I heard within the UK; subsidy determines how farmers invest in their business. His explanation was clear, policies encouraged farmers to be environmental stewards, not farmers, as such farm and agriculture infrastructure such as processing plants, supply companies and a competitive value chains were never efficiently developed. These farms are now competing with global milk prices in a region that is disadvantaged due to the side affects of subsidization. When asked what was the one metric used as a guide for management purposes; cost of production was a clear indicator of short term break even performance, however long term goals are based on return on invested capital. This is an interesting measure because to be it says farmers have a focus on profit and are willing to adapt and change as needed. It was suggested that on farm; we should be aiming for 5 to 10% return on capital with firms invested in value added should seek returns up to 30%. The processing side of the UK dairy sector is one element of total confusion; fragmented by local firms, varying sizes of cooperatives and a host of multinational companies give me a sense of market chaos, in other words as with the ‘have’ and ‘have not’ farmers, the same applies to UK firms processing milk and having the necessary infrastructure and markets. The future is UK dairy is uncertain, however a major challenge is the vast disparity between farmers and no clear national strategy. The UK dairy farmer looks across the English Channel to the lowest cost, export based, Irish dairy sector, and to the east is the intensive and efficient Dutch model. Positively, the U.K. has a large population who supports British food and love their milk and cheese based products, but farmers are entirely reliant on their processor to meet the market and compete in a global stage. Remember, in the European Union, food knows no borders. My first week of independent travel took me from Scotland through to the south of England. Planned and unplanned visits filled my week meeting entrepreneurs, professionals and passionate farmers. Every person has their unique story and that is what proved fascinating. 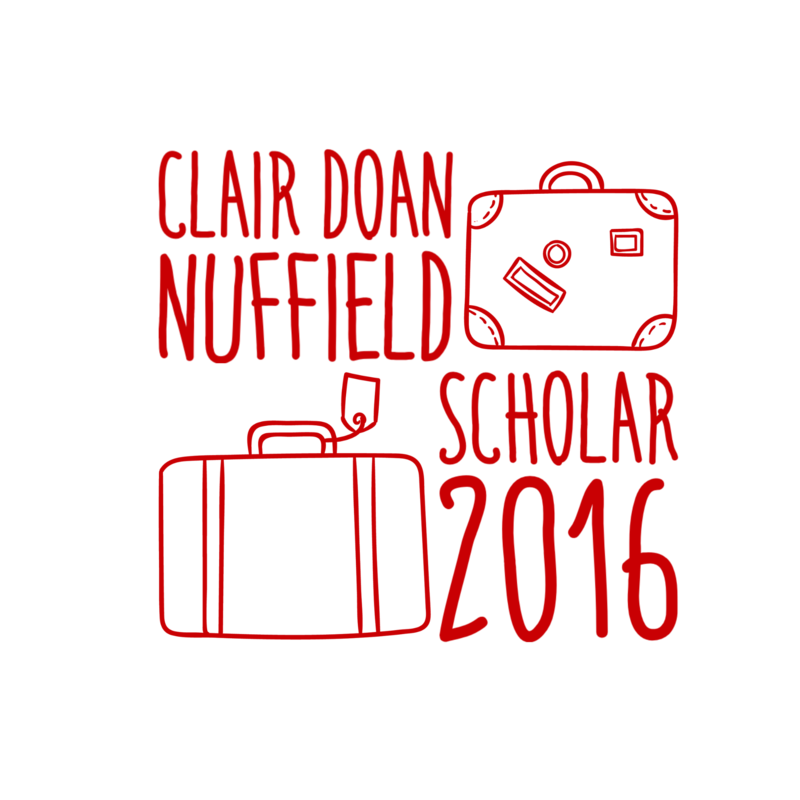 To share in the Nuffield journey is my priority. Some learn through text, others it’s about listening and most value experience. This is my first crack at using iMovie and uploading to YouTube to combine all three, so here goes. The Irish love all things green, Guinness and owning land for centuries. Situated in the Atlantic Ocean, this small island based economy with the United Kingdom and European Union at its door steps is trying to embrace its strengths and leverage their farming culture. 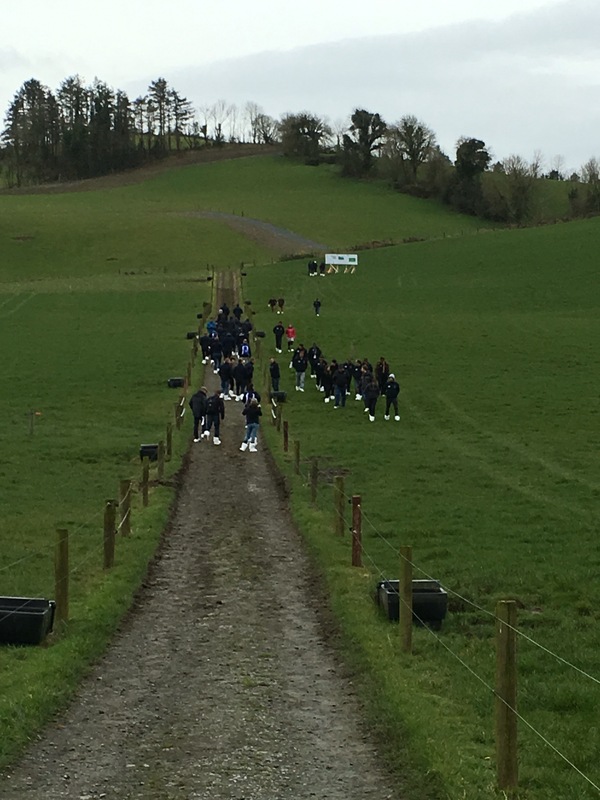 Ireland is a place where the connection of food and farming have aligned, but the Irish farming culture comes with both opportunities and challenges. What is a farming culture? I would suggest that it includes many similarities to other farming nations, a closeness to the land, a desire to produce quality food with the care and respect of the environment and encompassed by a strong desire to live this rural lifestyle. However, this definition falls far short; it is a one sided notion because it only encompasses those involved, invested and committed to food production; it does not include the greater population, a problem faced by North American agriculture. I cannot confirm that all of Ireland’s people support farming or even care, but what is clear, the Irish buy their green branded food. Irish food companies all seem to be a part of the lean, green, Irish marketing machine making use of brand qualities of food safety. 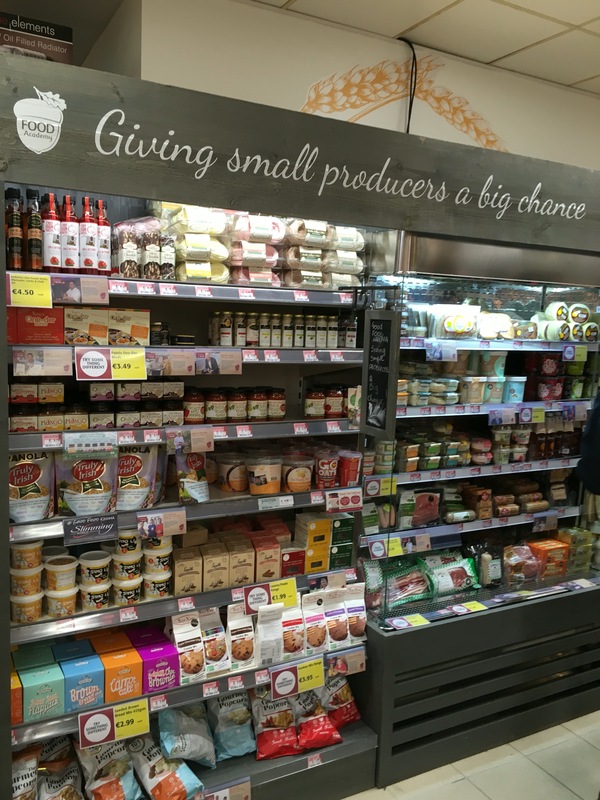 Most impressively is the Food Academy at SuperValu whereby small, local Irish food products earn shelf space at this major supermarket chain. Systematically and strong agricultural education and vocational training system for farmers were evident at our visit to Ballyhaise Agri College. It was suggested that an older generation of farmers lack many sorts of sophistication to make changes in their business; compounded by the fact land is rarely traded. Farmer have not been forced to adapt, but through education from the agriculture governing body, they are looking to train farmers, enhance their knowledge as a direct link to facilitating change. I do question how long the Irish people will support farmers and are willing to put their tax money to keep them in the country side? Agriculture was the major engine of the Irish economy for the past 10 years; supporting the economy as it faltered through the deep recession. Instead, agribusinesses developed market opportunities to export food, namely dairy products. The Nuffield Farming Scholars were presented the Irish vision of farming, FoodWise 2025; a document with 350 recommendations, adopted by the government of Ireland to support further growth and focus on certain sectors; namely dairy with a goal to double output over the next 10 years. A great concept and framework supported by politicians is noble; however, I do question if being entirely dairy centric is the most appropriate strategy. But whom am I to say, no such strategic document on the future of agriculture Canada exists. Understanding the complexities of the European Union farm support systems is complex, but Ireland’s government has developed a property tax savings for farmers willing to rent their land whereby the rental land income will be tax free; this scheme will allow the land to be used more intensively, allow farmers to increase productivity and support the long tradition of family land holdings. It has been a fascinating week understanding my assessment of a farming culture, one with long tradition of land ownership and agriculture, understanding Irish consumer’s desire for locally grown food, supported by a government that knows full well it was agriculture and agribusiness that got them through the past recession. Irish agriculture is enjoying a renaissance of sort; in that the farm to fork is alive and real, from farmer through to consumer. Arriving in Cavan, Ireland at the start of the Nuffield Contemporary Scholars Conference, I set a personal goal; to live in moment and ‘feel’ Nuffield. The description of my life; husband, father, turkey farmer, banker and now 2016 Nuffield Scholar and all of the above, although impressive to some, it is a constant balancing act and at times a struggle. Life is full of goal setting, planning and executing. Some would ask why or how do you do it? But for me, it is just my life; I love challenges, tackling goals and proving to people that I can attack and accomplish the desired results and making sure my fulfilment of their expectations are met. Nuffield as different, it is not just about writing the report or giving the final presentation, it is about the living the program, not just accomplishing it. Our conference facilitators made it clear, we would stretch our beliefs and understanding of ourselves. In a room full of 75 strangers where I would prefer to sit with my back to the wall, observe, judge and then strategically decide who I might go and connect; this approach was blasted away in a mere minute at the conference. We were all tasked with mapping out our lives, full of high points, low points, and everywhere in between. These events, known as turning points were then shared in small peer to peer groups. It stretched my personal boundaries, of being unemotional, tactile, and direct. Talking to strangers about my life made me uncomfortable and vulnerable; but it worked. The exercise in the end, forced the entire room of scholars to realize we all have a back story and needed to trust our fellow Nuffield Scholars. What does Nuffield expect of me as a Leader? What do I expect of myself? What actions am I committed to for myself? What actions will I stop doing? Although questioning goals for Nuffield may be personal in nature, the facilitators continually press all scholars to use a method known as cooperative thinking to engage and share with others and focus communication with peers at all times. The second day wrapped with an interactive activity confirming that I am ‘The Analyzer’, one who does not particularly do well with emotional people; this will come as no surprise to many, I am sure. This awareness of people, thinking more positively, being conscious of others personality or their own back story will allow us today, and in the future to engage, function and develop as leaders in our community. As a person that is always focussed and determined, I am convinced that Ireland was meant to host my Contemporary Scholars Conference. It has been an environment which has put me at ease with my peers, allowed a group of 75 strangers to find commonality and truly start friendships for life. Perhaps it has been the Irish hospitality and a pint of Guinness at the end of the day where we all come together as a group to laugh and solve a few of global agricultures problems. So as peers, business owners, clients, friends, I encourage you, set a goal that you might not otherwise consider, but in setting the goal, understand that perhaps the journey is as important as the goal itself.